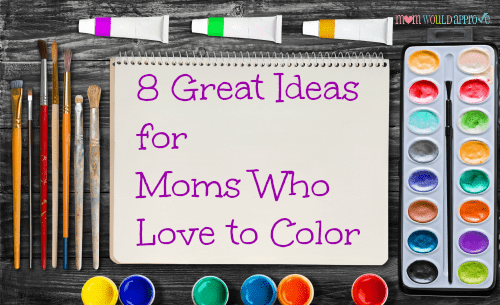 Below you’ll discover 8 of the best gift ideas for moms who love to color. Coloring books aren’t just a fun way to pass the time, they also help to lower stress levels. There are so many different options on the market for coloring books: mandalas, flowers, fairies, landscapes, dogs, cats, animals, and even swearing. In fact, I just put one in my store! In fact I got these to review and I like them! Want to present her with a present that will blow her away? Coloring wall posters would do the trick. Available in numerous designs, they are basically wall pictures and murals that you can color anyway you like. So it won’t just satisfy her love of coloring, it will also give her a personalized gift that she can hang on the wall. You’ll be able to help her to keep all of her coloring supplies neat and tidy with a stylish container. They come in all shapes, sizes, and designs so you should easily be able to find one that fits her personality. Does she have little space to do her coloring? This space-saving flat stand gives her a solid surface to color on. Once her creativity kicks in she might want to expand her horizons into other art forms such as painting. Paints will really make her day. 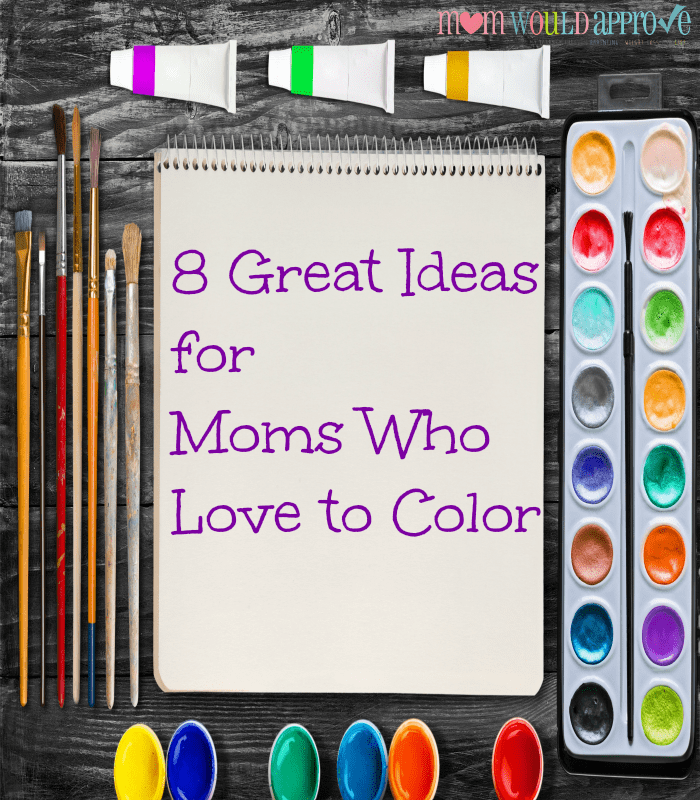 These are just 8 great Mother’s Day ideas for moms who love to color. If you want to give her an extra-special gift, why not buy a few things from the list above and pack them into a home-made basket? Ive been coloring since I was 15 and into my adulthood. Its funny how now its this big thing. I have probably 50-60 books, lots of gel pens,regular markers,sharpies and pencils. Its my hobby/obsession/addiction. Lol! I have chronic pain and 17 yrs ago I hurt my back at work so I took up coloring again. It helps my pain and to relax. Is this colorbook yours? Those are some cool pens.